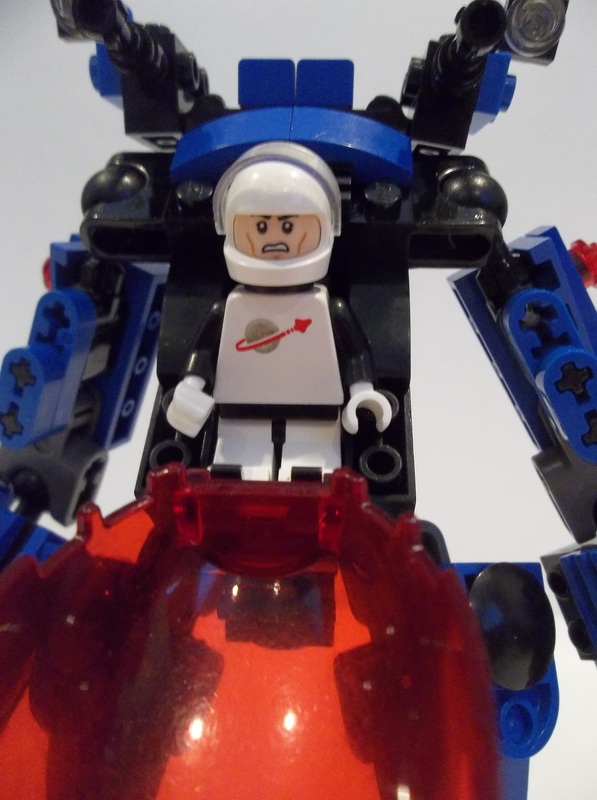 The Space Police aren’t an aspect of LEGO Space I’ve gone into building very much before now. 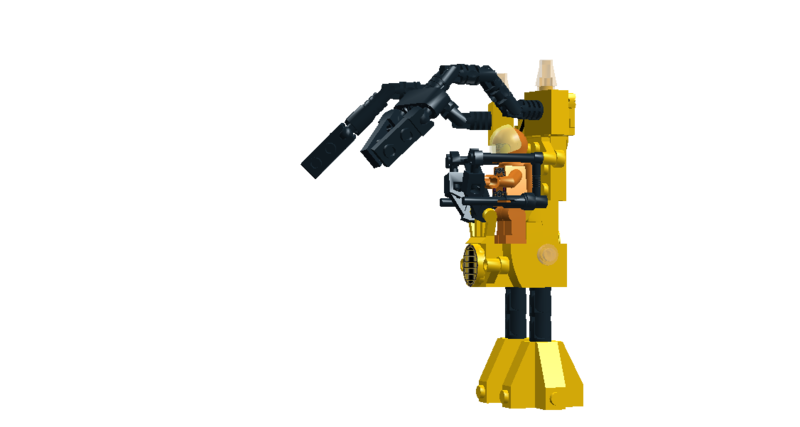 I’ve had a brief flirtation with the organisation in digital format, but aside from a single “crashed wreck” build to go with my neo-Alienator, I’ve not built a single Space Police construction before in real bricks. Now I have Blacktron astronauts, though, and the beginnings of a potential alternate-universe story where the Blacktron are the heroes and the Space Police are a tyrannical instrument of oppression, I find I actually want to build Space Police. Even the bad guys ought to get some cool stuff. I don’t, however, currently possess a first-generation Space Police trooper. Or any of the three separate generations of Space Police, but it’s the original Space Police, first genuine adversaries of the Blacktron, that concern me right now. If I’m going to have a corrupt, oppressive Space Police, SP1 have about the most sinister colours with that black/blue/trans red livery. Seeing everything as they do through visors and windscreens in Sith Red, were they actually subtly intended as evil? They even look a bit like Stormtroopers. I doubt they were specifically meant as evil, but Futuron’s colours do look so much more regular Earth police-like, as shown by their recyclement in SP3. 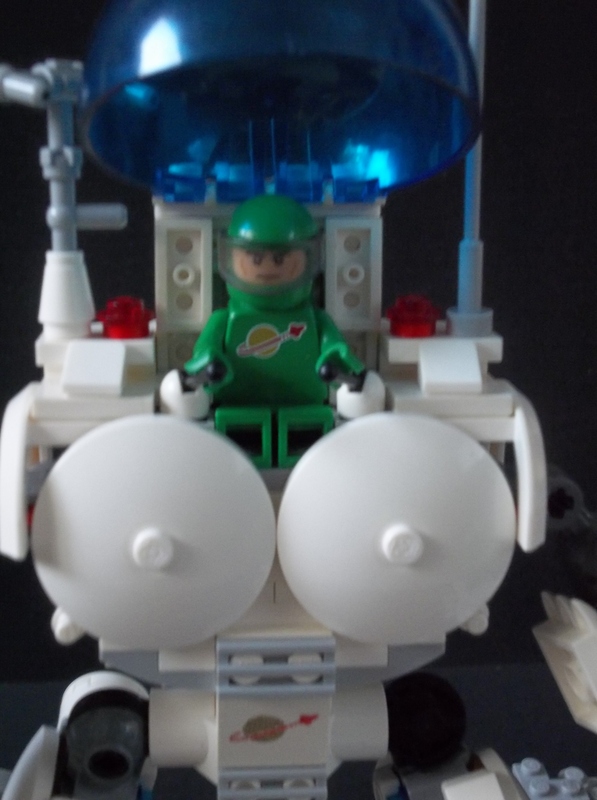 Anyway, my first Space Police build in real bricks was a corvette-sized microscale cruiser, but that was mostly a minor experiment with a new technique. If I think up a suitable backstory I may post it. This, however, I wanted to post. 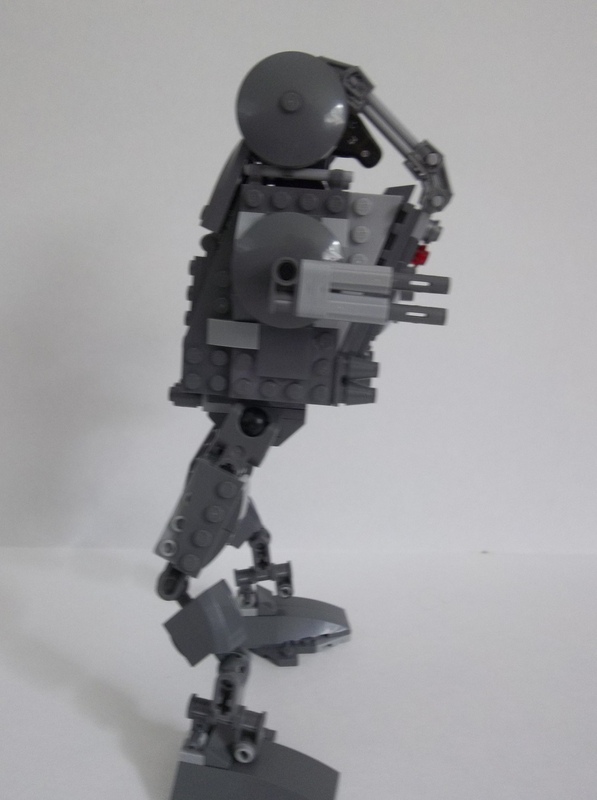 Minifigure-scale despite my lack in the trooper department, it’s a walker, because I like them even if I’m no specialist genius mech architect. 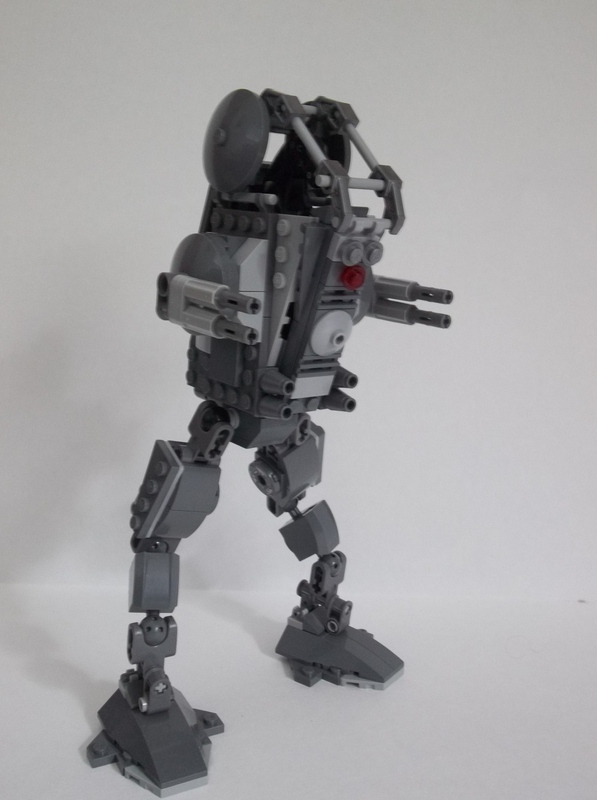 I’ve done as much as I can to create a sort of ersatz Space Police stormtrooper, recombining parts from a white Classic astronaut and a Blacktron squaddie, and the result doesn’t look too bad, I think. 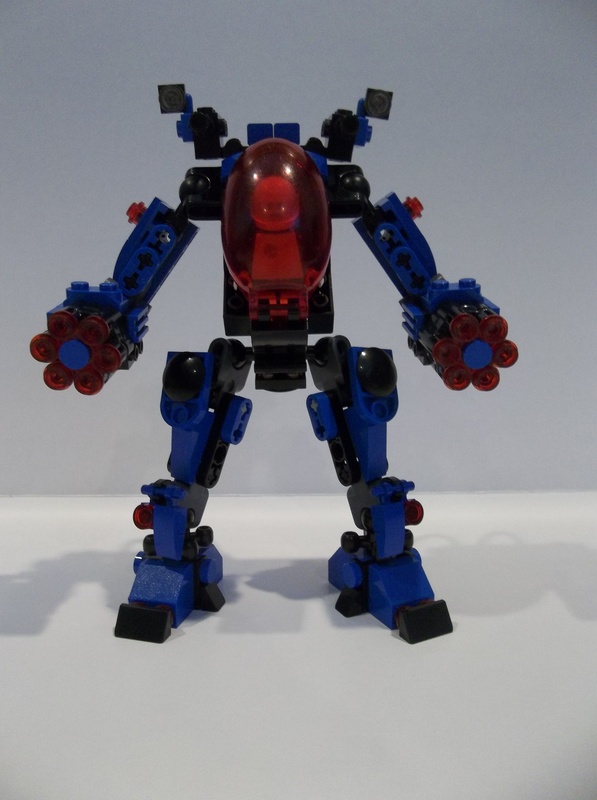 The mech may be one of my most adventurous yet. 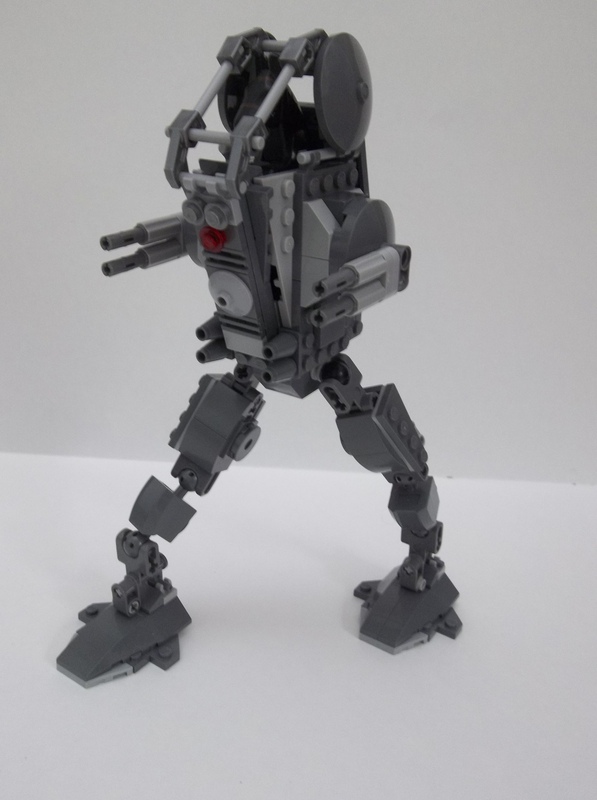 I’ve used several techniques that I haven’t tried before, most notably the sloped cockpit section, and I’ve tried to avoid using box-standard Bionicle/HF balljointed limb elements. Ok, mostly this is because a lot of them are in use on several dragons my kids and their cousins have built, but it’s the actually doing it that counts. 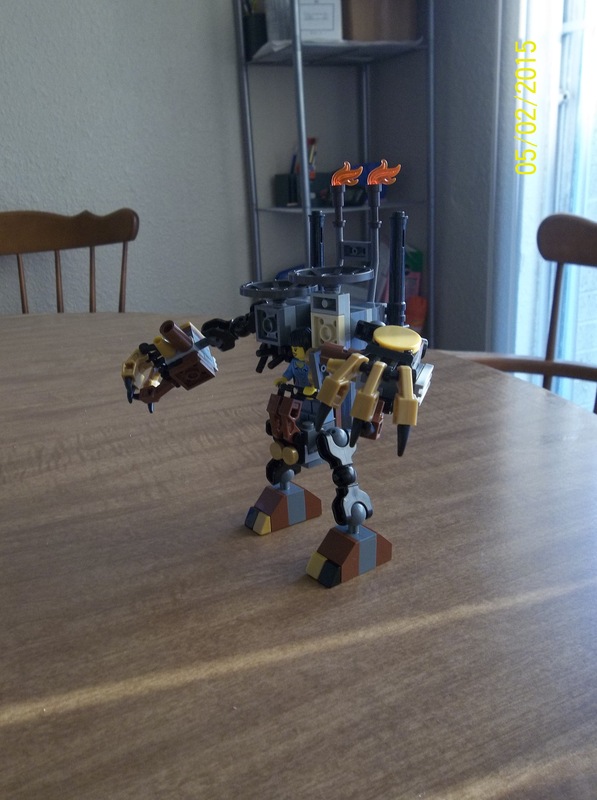 The twin rotary stud shooters are inspired by the six-guns of the stereotypical Wild West lawman, and I’ve used a stickered City element to label the mech as police. On the roof are a pair of lighter guns, with searchlights mounted to aid in urban pacification. Possibly the roof-mounted guns are high-pressure water cannons, but somehow I doubt it. I have serious questions about the effectiveness of water cannons in a space environment. Wouldn’t the water just boil off into the vacuum? 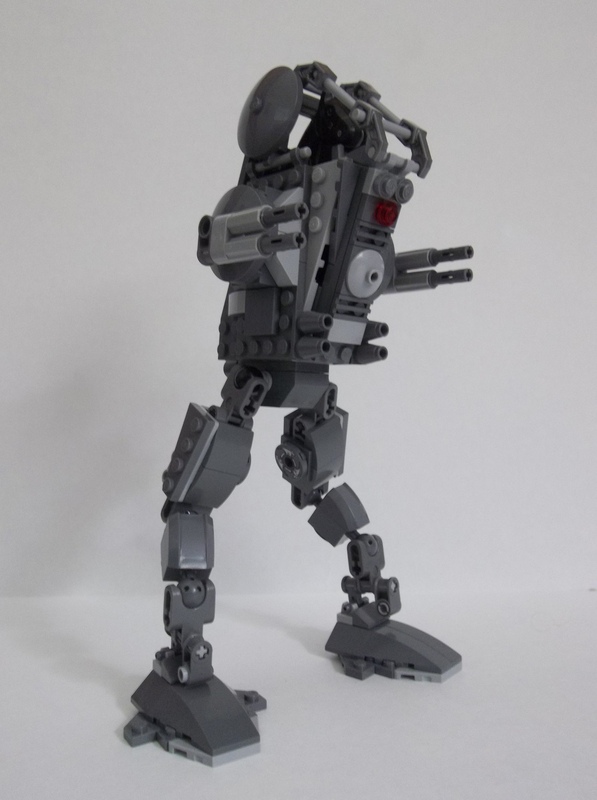 I’m calling the mech the Enforcer-class walker, seeing it as probably one of the Space Police’s primary mechs. 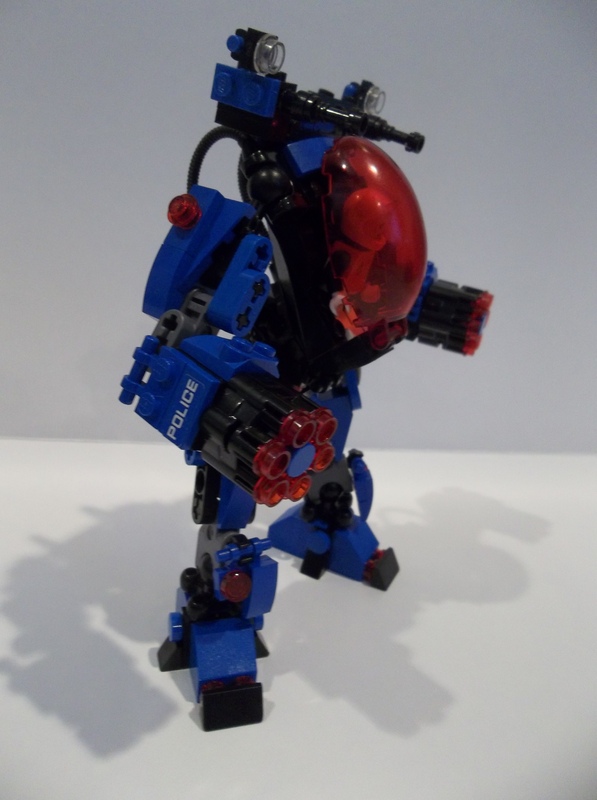 This entry was posted in Lego Classic Space, Lego Space, LEGO Space Police and tagged Lego, Mechs, MOC, Space Police, Space Police I on July 19, 2017 by geoffhorswood. 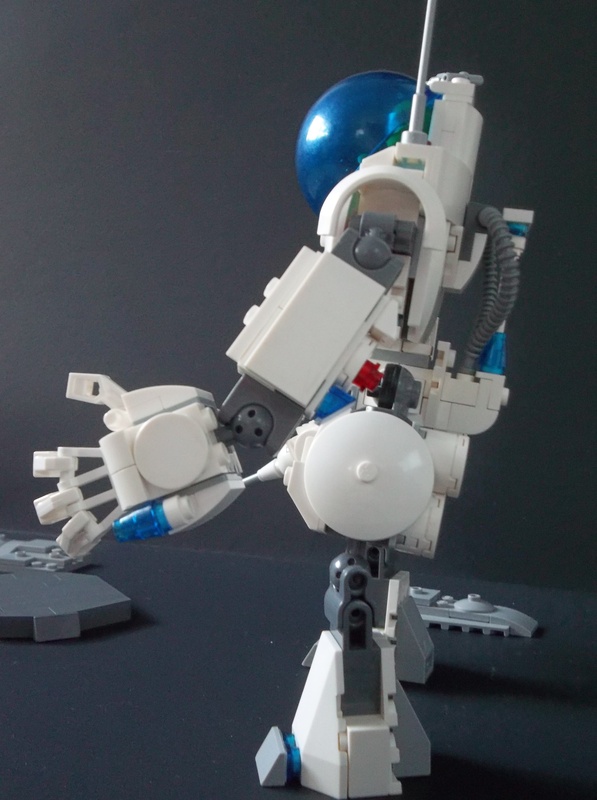 I don’t often build “white period” Classic Space creations. What I call the “white period” isn’t really a specific time period within the Classic Space proto-theme as such, but refers to the group of secondary colour palettes that ran alongside the “classic” blue/grey/trans yellow. Predominantly white with trans blue windscreen elements, these secondary palettes used blue or grey or sometimes black (like a sort of proto-Futuron) as secondary or accent colours. It’s not that I don’t have the bricks for it. Between my store of trans blue screen elements acquired from early Bricklink forays and the white bricks garnered from the Sensei Wu dragon, various Elves and Friends sets of my daughters’ and other sets, I’m quite well off for the bricks I’d want in the colours I’d need. No, it’s not that I can’t, more that I prefer the classic blue/grey/trans yellow colours. If I’m going to build a white space creation with blue windows, normally I’ll go ahead and add some black accents and call it Futuron. What I call the “white period”, then, is something different and out of the ordinary for me. And out of the ordinary is almost always a good thing. In the vehicular triad of spaceships, rovers and walkers, my last two builds (aside from the little Independence Day windowsill ornament I built) were a Blacktron rover and a Classic Space Federation spaceship. It must therefore be time for a mech. Still in Classic Space mode (otherwise known as “my normal building mode”) due to enthusiasm over the newest additions to my personal small Astronaut Corps, I elected to build a Classic Space mech, but in the 6929 Starfleet Voyager’s white colour scheme. Due to some discussions with a friend over the alternate-universe possibility of a heroic Blacktron rebel alliance and a tyrannical Federation, I’ve built something that I think is vaguely ambiguous. 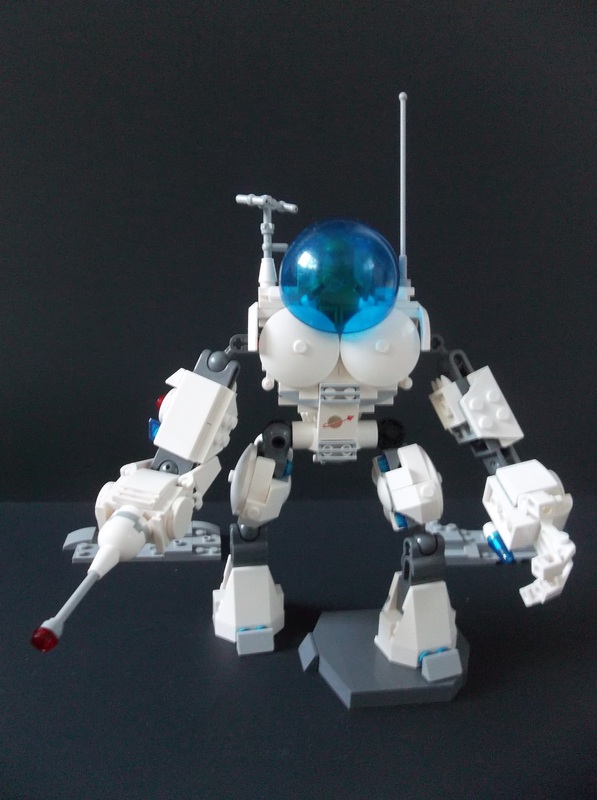 It’s heroic white and has a friendly round windscreen, but it also has that hand laser-cannon and cuirass-like chest pseudomusculature. I could see this in either heroic-defender-of-freedom or nasty-instrument-of-oppression role. The round chest plates are actually one of my favourite parts of this. They were fairly easy to do, but they go along with the windscreen and the upper thighs and some other parts in a whole round-element visual subtext. 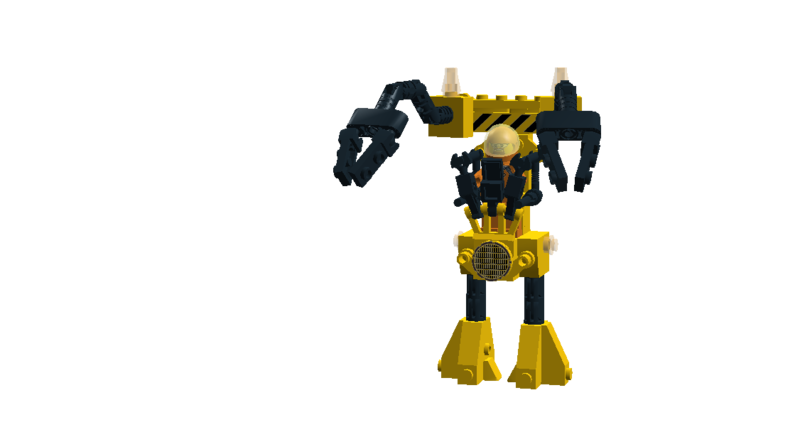 As far as naming goes, I’m calling this the “Titan Explorer Mech”, running the ambiguity for all it’s worth between the classic peaceable Federation nature of “Explorer” and the slightly oppressive sound of “Titan”. I’ve used a green astronaut as the pilot, as the only one of my six (2 red, 2 white, 1 blue and 1 green) Classic astronauts not in use in either the Starfleet Voyager update or the Independence Planet windowsill ornament. I ought to have another green astronaut which I got with the Exo-Suit, but Pete the Robo-Turtle Feeder went missing over 2 years ago before we moved. Anyway, in the various astronaut suit-colour representational schemes, green astronauts have been variously represented as being mech drivers, support workers, environmental techs and rookie spacemen, but here I’m using him as some sort of space marine or trooper. Or whatever interpretation you want to put on it. 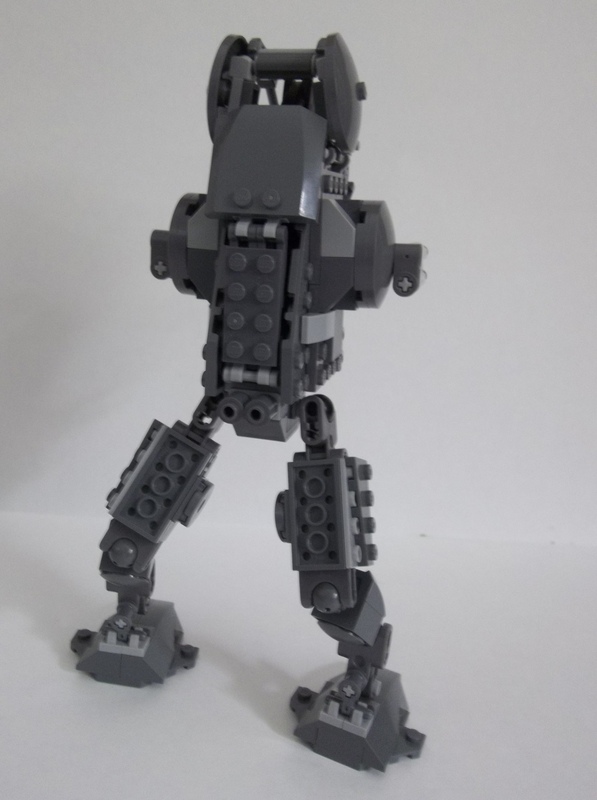 After all, they’re only in one set: the Neoclassic Exo-Suit mech. 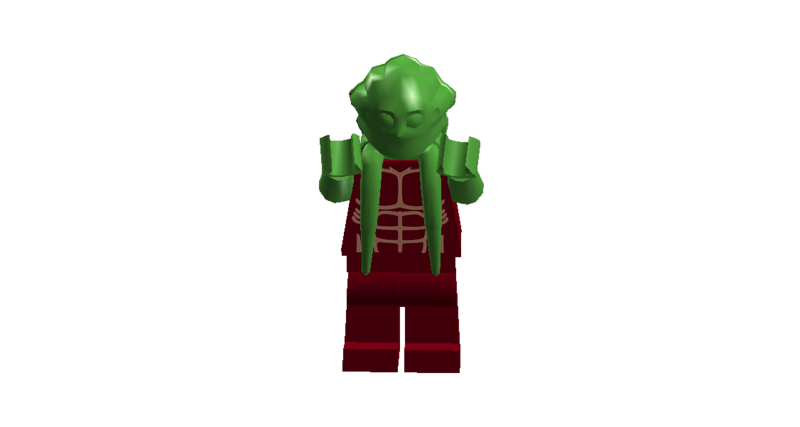 All you can say from that fragmentary evidence is that green suits probably aren’t starpilots. And just to reverse roles in keeping with my alternate-universe “brightly-coloured tyranny” interpretation of the Classic Space and Blacktron themes, I have the armed Classic Space Titan mech attacking the unarmed Blacktron space truck, defended by a couple of Blacktron spacers who are probably only a couple of stomps away from what the LEGO Message Boards euphemistically used to call “smashed”. Planet R-19 was supposed to be a quiet and relatively safe place for the Blacktron rebel alliance to transship goods. 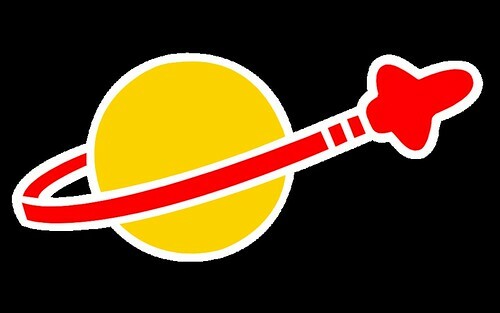 Off the beaten path even in the vast, newly-incorporated Ogel Sector, a ten-a-centicred airless world with only a catalogue number and not even the dignity of a proper name, it was well outside the tyrannical Federation’s usual Space Police patrol routes. 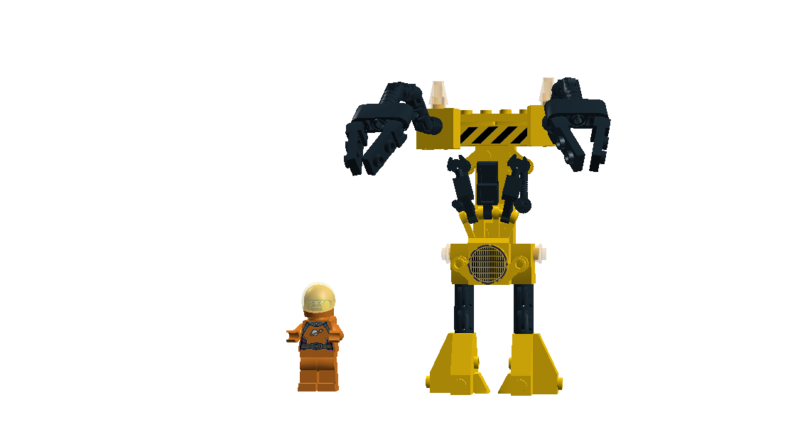 Pete Goddard’s intermodal hauler was the first one to arrive at the rendezvous point, where the four containers would be magnetically clamped together into a single heavy-lift vehicle and launched on to one of the Alliance bases on Battraxus or Provine or Caliban III. For security, Pete didn’t know what was in his own hauler’s container. The four due to be mated together here at Point Sigma had been snuck in to various locations across the dry maria of R-19 and trucked across the dusty basins to the several rendezvous. Pete hoped the others would arrive soon; right now there was only the limited company of the two Blacktron fighters that the Alliance had posted here for security at Point Sigma. Pete shrugged at the thought. He understood the need for security; the oppressive Space Police were not known for their gentleness with anyone objecting to the iron rule of the Federation and its happy-happy propaganda. But Avi and Sasha were only armed with Centaurian P72 bolt throwers; what were they going to do against a Space P olice Striker-class cruiser? 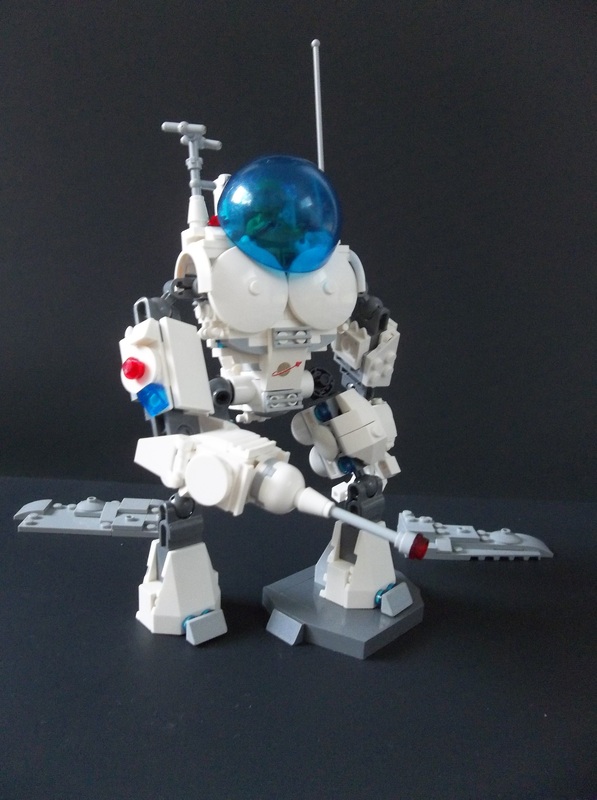 The white-hulled Federation “Explorer Mech” – and wasn’t that a joke? – stomped out from the shadow of a big crater less than a klick away and with a full view of the Blacktron haul truck and the two diminutive defenders. 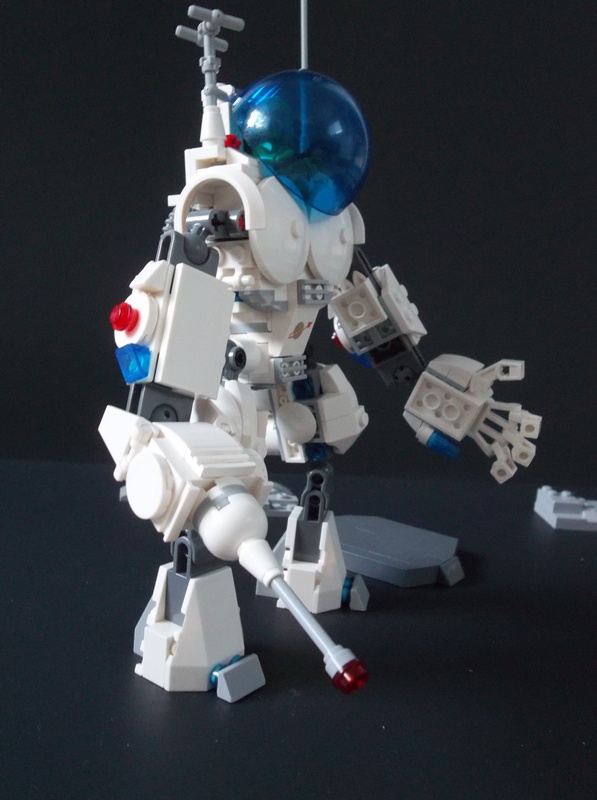 A Coreworlder design used as one of the supposedly-civilian Federation Space Service’s main combat mechs, it was theoretically in service all Federation worlds but somehow never seen outside the Core Worlds and Old Earth. Which was particularly strange as the official blurb on the Titan claimed it was designed for the exploration of potentially dangerous new planets, not established Federation Grand Council members like the Core Worlds. As the Titan mech approached, Pete watched even the brilliant white disappearing into the razor-sharp shadows of the airless world and wondered who had slipped up in the Alliance’s security, that this transshipment point had become known to the Federation. Or had anyone slipped up? If there had been a security breach, shouldn’t the place be crawling with Space Police stormtroopers and their euphemistically-named Protector-class battle rovers, not just one lone benny in a Fleet mech? 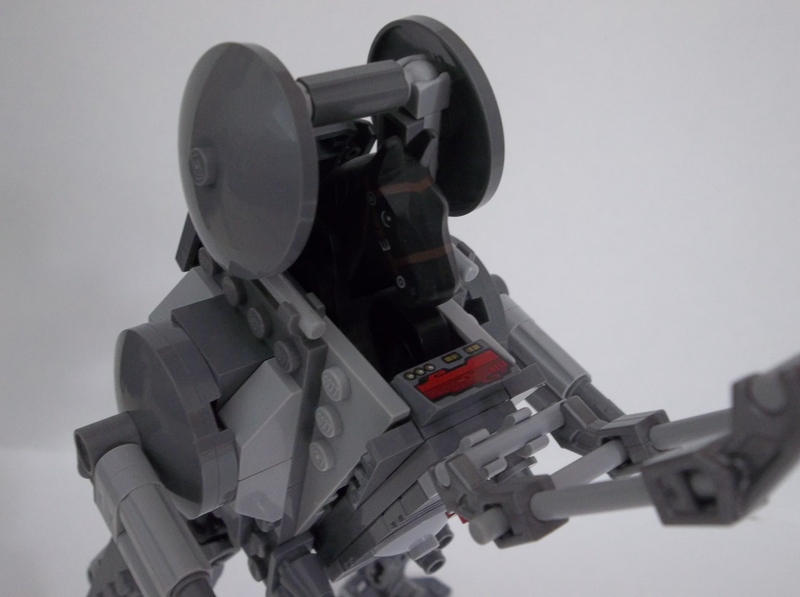 This entry was posted in Blacktron, Lego Classic Space, Lego Space, Mechs and tagged Classic Space, Lego, Mechs, MOC, Neoclassic Space on July 6, 2017 by geoffhorswood. Ok, this is rather silly. 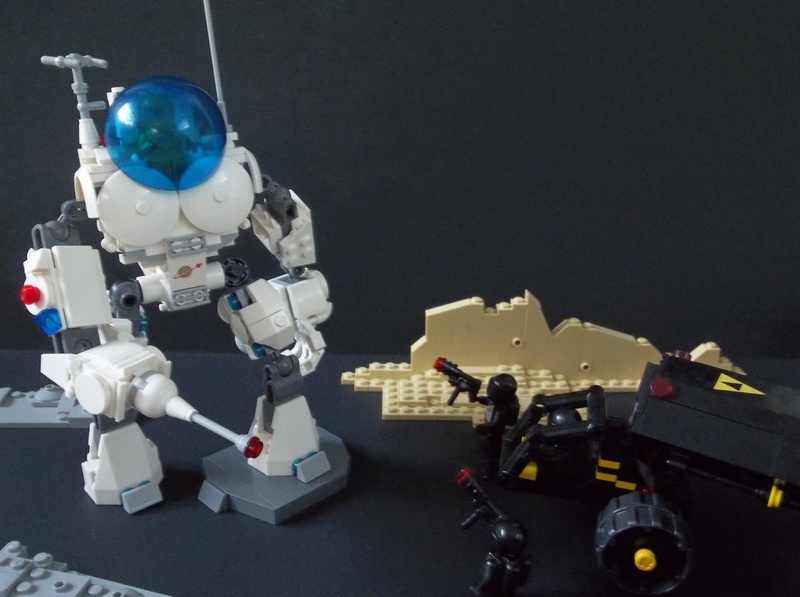 But people have made LEGO mechs piloted by frogs before, so I’m in good company. But I don’t think I’ve ever seen a battle mech piloted by a horse before. I said once before that I’ve had a long-standing ambition to use the horse element in a spaceship, so perhaps this is where the inspiration came from. But I really have no idea. Just another of the weird ideas that pop into my head. 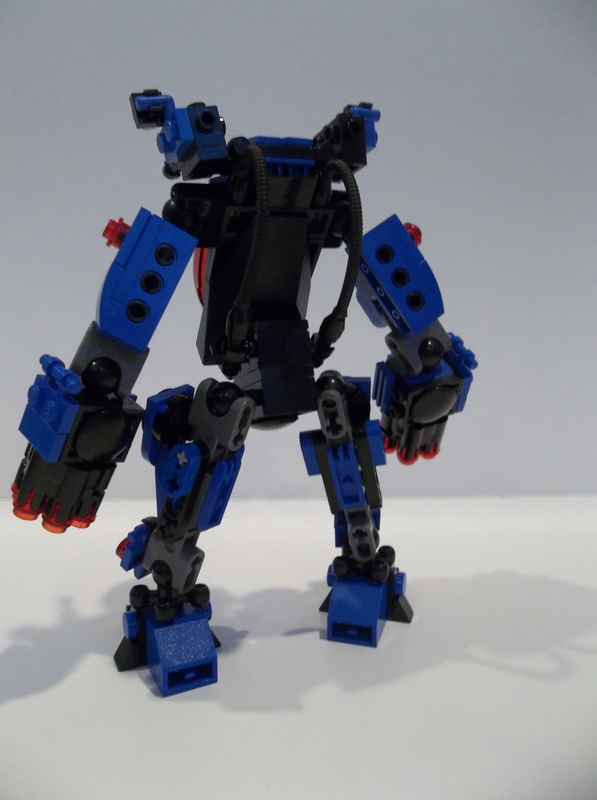 This entry was posted in Mechs, Uncategorized and tagged Horse, Lego, Mechs, MOC, Weirdness on June 24, 2017 by geoffhorswood. 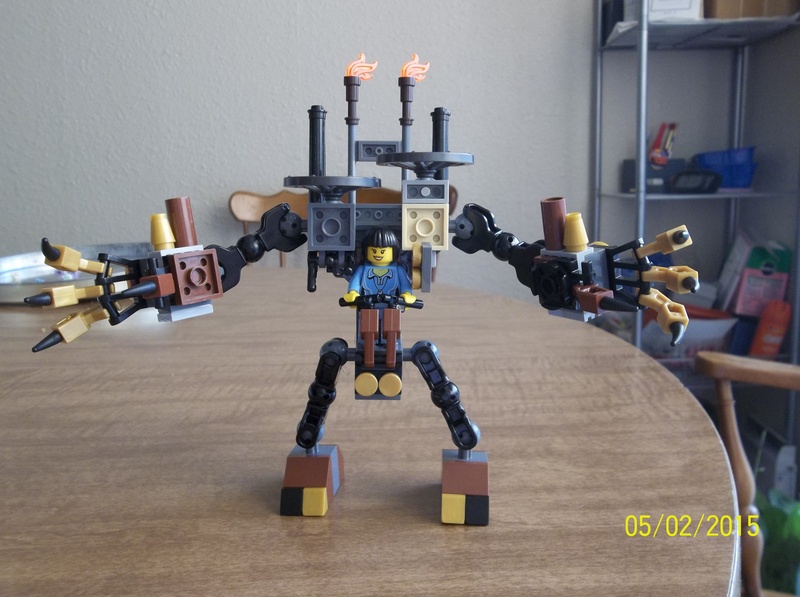 LEGO and Steampunk. A match made in, well, if not quite heaven, then at least some sort of Wellsian-themed Buildtopia. Sooner or later, everyone seems to try their hand at some sort of awesome steam-driven mechanical marvel. In many ways, LEGO is made for it, especially with all the modern colours. Flame orange and gold make acceptable brass substitutes, brown is great for wood, leather and more tarnished brass and bronze, the various greys and metallic silver make excellent steel, pewter and iron finishes. And all of the diverse array of modern greebles are superb theme decorations. My grandfather worked as a signalman on the railways in the old pre-British Rail days of the London and North-Eastern Railway, and afterwards, so you might say steam is in the blood. His Hornby model railways were never my thing, though; I wanted spaceships and futuristic technology. I didn’t know about Steampunk back then. Jules Verne and HG Wells were cool, but in my boyish imagination I pulled their creations out of the 19th Century milieu in which they had been set and re-imagined them for the futuristic technology they obviously ought to use. The Martians’ Heat Ray was obviously some kind of laser, while the Nautilus was a high-tech submarine with electric torpedoes and probable nuclear power. Well, now I know about Steampunk. 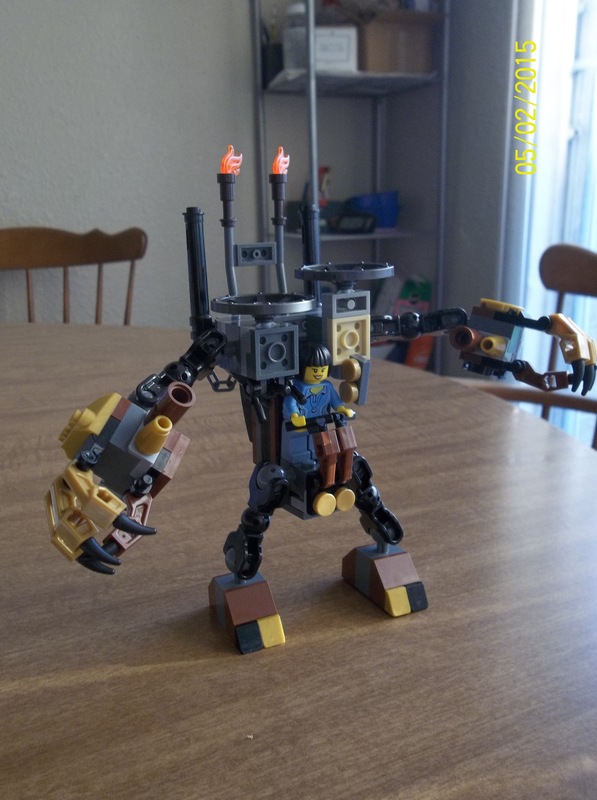 And it seemed time for a Steampunk-themed LEGO creation. 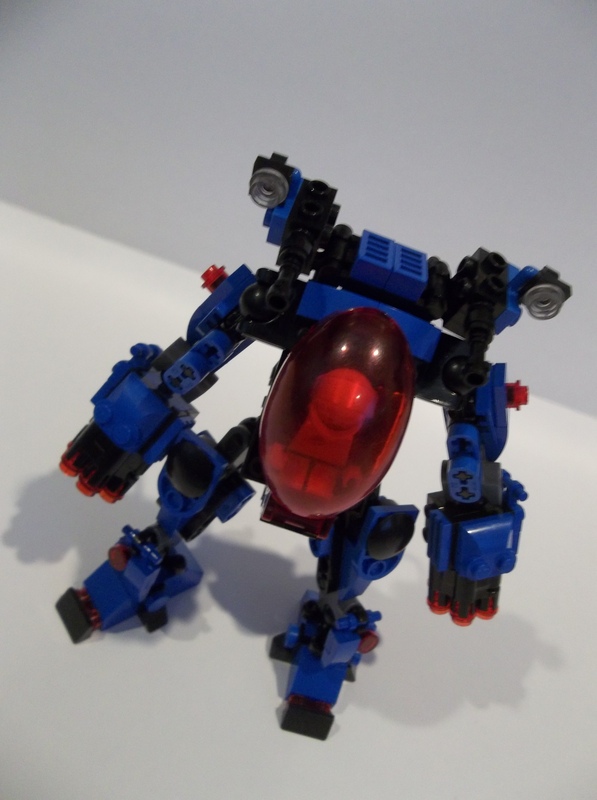 I seem to have fallen in love with LEGO ball joints. 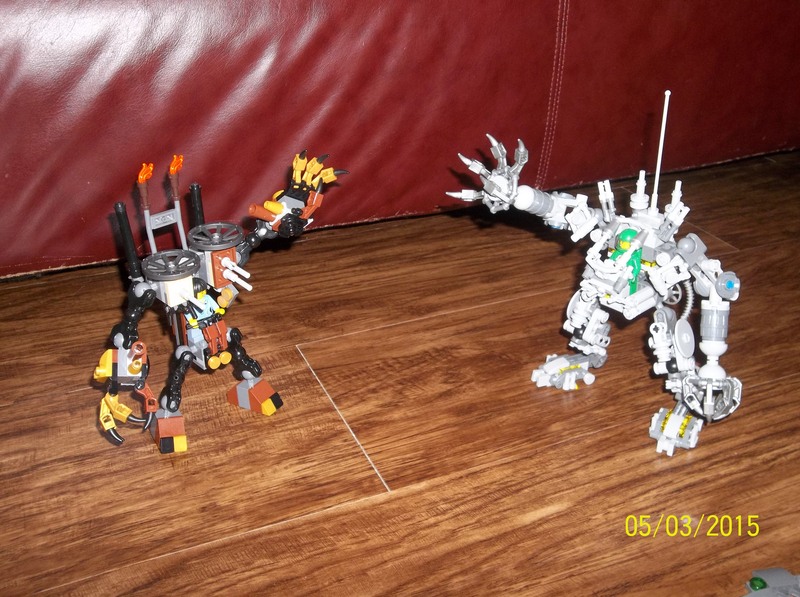 My daughter has the Kai’s Fire Mech set, my son has the Forest Creatures set and I have the 31032 Red Creatures set, so we have quite a few of them now. 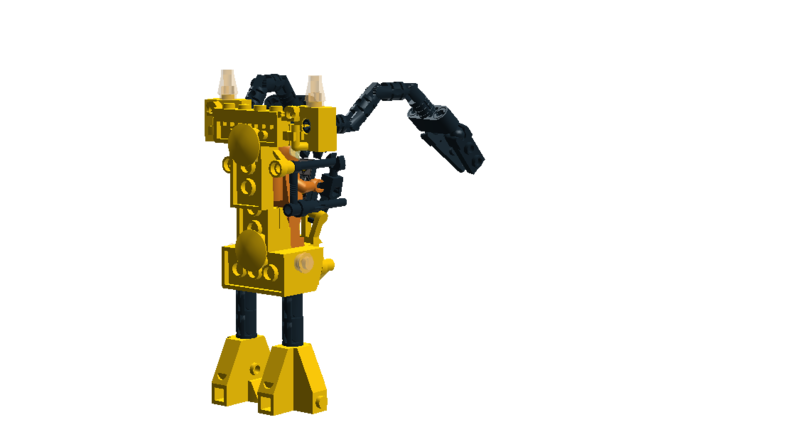 And what I’m particularly struck with are the mech-building possibilities. 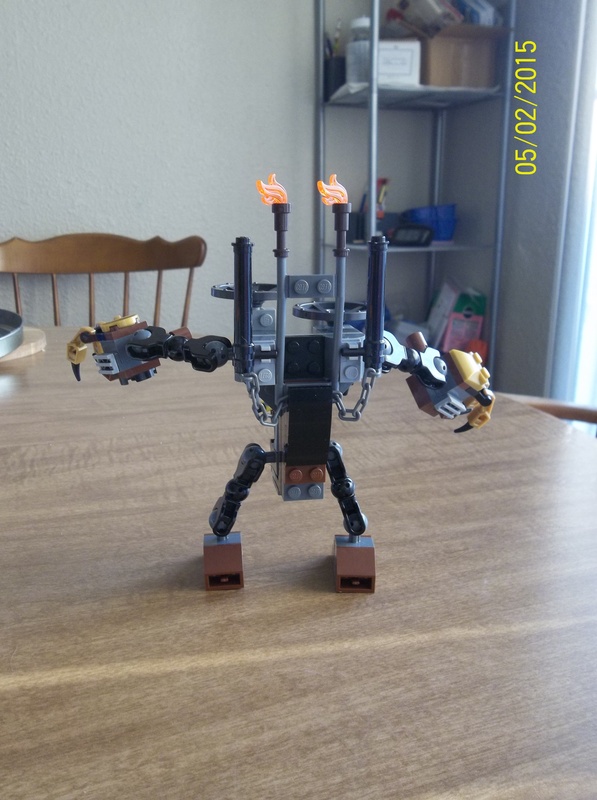 So, a Steampunk mech? You bet! This didn’t start out as necessarily a Steampunk creation, though it didn’t take me long to decide to push it in that direction. We have a lot of brown, grey and black bricks, and the gold from Kai’s Fire Mech. It just seemed to call out to be Steampunkified. Brown for the feet, then, with gold and black highlights. 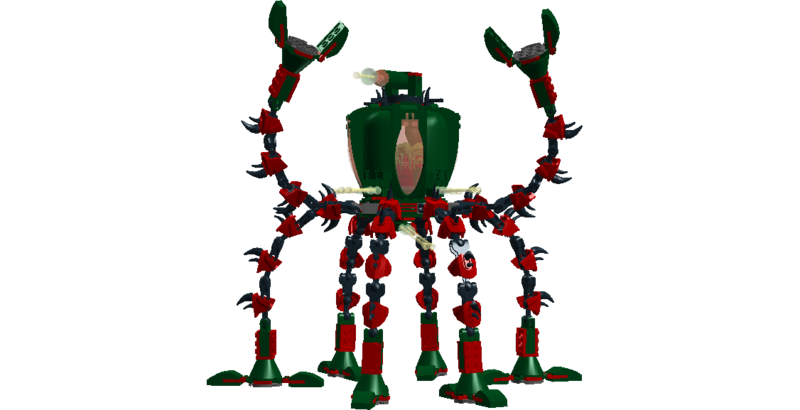 Use the bare Bionicle double-ended ball holders for the arms and legs, without adding the red cover parts that Kai’s mech uses. 2×2 horizontal half-cylinders on the back as piston or boiler parts. Hmm. Still needs more Steampunk. Hey, here are those pewtery Castle wheels from my daughter’s Gold Getaway set! Maybe… Flywheels! After that it was just a case of adding more greebles. Horse harness becomes organ-pipe steam funnels. The tall cylinders with the handles become – well, originally I think they were going to be funnels, but now I think they’re piston housings. Hanging chains, because why not? 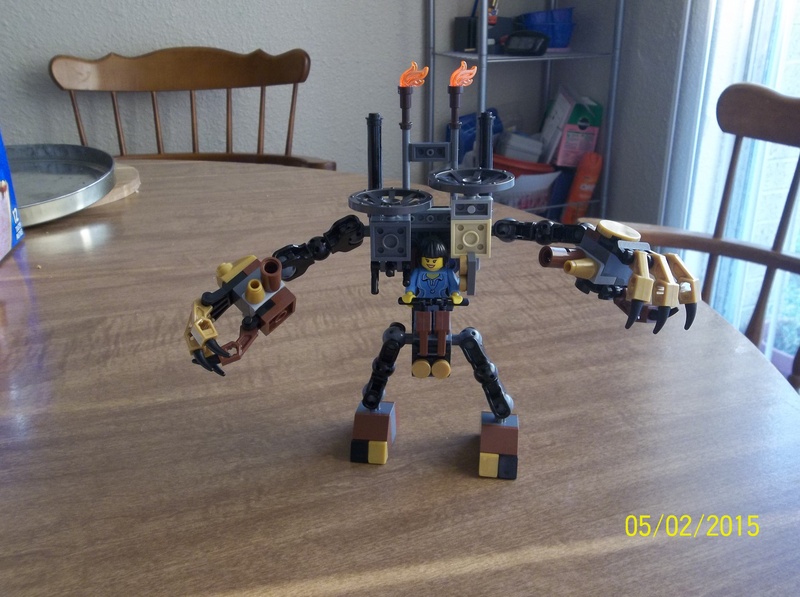 Still, here it is: my first LEGO Steampunk creation. As far as naming goes, I thought about calling it the “Spindle”, because of the flywheels, but that didn’t seem quite right. Then the name “Brass Monkey” slipped into my conscious mind and said “This is what this mech is called”. It makes sense. As a sort of Steampunk ancestor of a Tony Stark “Iron Man” suit, both “Brass” and “Monkey” seem to work. This, then, is the Mark One Brass Monkey. Driven, I decided, by a character by the name of Lady Paracelsus, from a Steampunk story I started to write a while back. 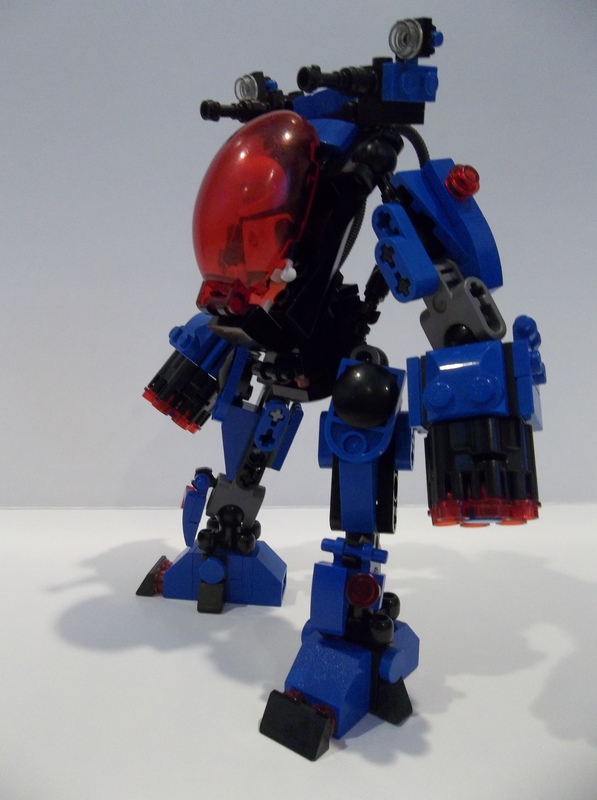 After the Brass Monkey was completed, I got given the wonderful LEGO Ideas Exo-Suit for my birthday on Friday. So here is Yve in the Exo-Suit, waving hello to her fellow mech-driver Lady Paracelsus in the Exo-Suit’s Steampunk ancestor. 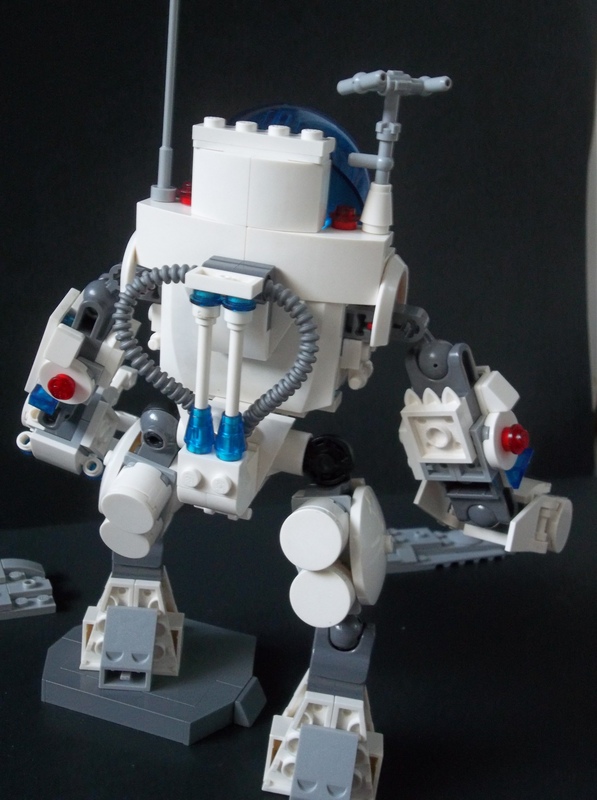 This entry was posted in Mechs, Steampunk and tagged Lego, Mechs, Steampunk, the Brass Monkey on May 5, 2015 by geoffhorswood.